Trendy – with classic slip ons to elaborate bejewelled straps and everything in between, the right pair of women’s flat sandals will complete your summer wardrobe. 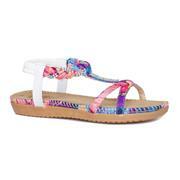 Versatile – mix comfort and elegance with a pair of women’s wedge sandals. Classy – transition from lounging around the pool to a night on the town in an instant with a gorgeous pair of women’s heeled sandals. 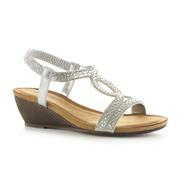 With our women’s sandals range, you can really dress to impress. Order now and get free delivery. We have more options too – and you’ll be sure to find the perfect summer shoe in our complete men’s sandals collection. 496 products from £3.99 to £59.99.